Thursday Poll: Favorite New Apps of the Last Month Are? It has been a couple of months since we last had everyone share their crop of most recently favorited apps. So let us go ahead and do that today to see what has received a little extra attention on your smartphones and tablets. We saw the release of some top tier games like Shadowgun, an app from our friends Android and Me called Photobooth, Google Offers, and a whole bunch of old timers that were overhauled. After thumbing through our Apps section, I was amazed at how many of some of our long time favorites had been completely redone. So this time around, feel free to shout out of some of your all time favorites that may have received new looks. Still try to toss out as many newbies as you can though, since after all, that is the whole point of this post. For me personally, I’m really loving the newest release of Screenshot ER. After snapping a shot, you get a mini preview in the top right corner that can be saved, shared or discarded. 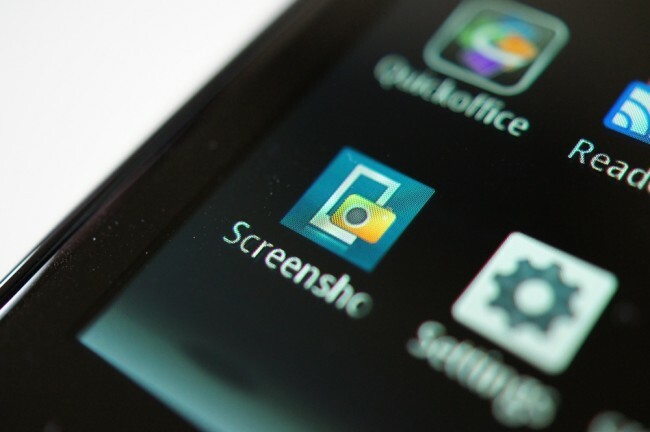 Long gone are the days when taking screenshots either took over your whole screen or disappeared without your approval. I’m also really addicted to WidgetLocker again ever since they released the Ice Cream Sandwich lock screen. What else have you guys been obsessing over lately?